Milwaukee used to be touted as the “beer capital of the world,” but now the city is spreading its influence in a more noble way — as a world-leading hub of water technology. With more than 150 water technology companies based in the area, Milwaukee is recognized by the United Nations under the Global Compact Cities Programme as a leader in sustainability and innovation in the area of water research and technology. Why Milwaukee? Rich Meeusen, president and CEO of Badger Meter — one of the water companies that calls Milwaukee home — explains the history, current status, and future direction for the city’s water-tech industry. “Milwaukee has an incredible history of water. The city itself was developed in the late 1800s on the basis of wet industries — we had many industries that required a lot of water. It made sense; we’re located on the Great Lakes — 20 percent of the world’s fresh water is right outside our back door. Meeusen goes on to discuss the founding of The Water Council, which brings Milwaukee’s water technology companies, research institutions, and government together around sustainable water management. “I believe that the world’s water problems are solvable and I think they’re solvable by three things: policy, behavioral changes, and technology,” Meeusen asserts. 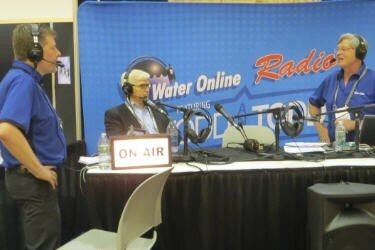 Learn more detail by tuning into the Water Online Radio interview.